Another year, another attempt by liberals to tax Coloradans to tarnation with Initiative 93, which submitted signatures to get on the ballot . This time, we get in a time machine to 2013, the year that Amendment 66 tanked by a two to one margin. The union proponents behind this measure think that they can fool Coloradans into thinking that the dollars from this initiative will actually reach classrooms so teachers can be paid more (they won’t). Coloradans were not fools then and we doubt they’ve grown dumber over the years, we suspect they’ve grown smarter. So, when voters said no to a $1 billion tax increase, it’s strange that they’d ok a $1.6 billion tax increase. The Better Schools Coalition turned in 170,000 signatures from each of the state Senate districts, as now mandated, yesterday. The proposed initiative would raise an additional $1.6 billion by freezing property taxes, which were expected to decrease. The initiative also would increase income taxes on individuals and corporations. The example offered by CBS‘ Shaun Boyd was that if you make $150,000, your taxes would increase by a mere $80, but those who make over $500,000 would see a $42,000 increase. Something doesn’t smell right there. That’s a huge leap. Nonetheless, this is a really tough ask for voters. 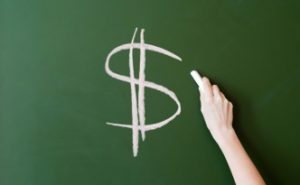 The state legislature just gave education the largest funding increase in a decade and the greedy teachers union wants more. Figures.